‘The Great Gatsby‘ is often referred to as a ‘Great American Novel‘, yet initially after reading it I was still not quite sure I understood why. 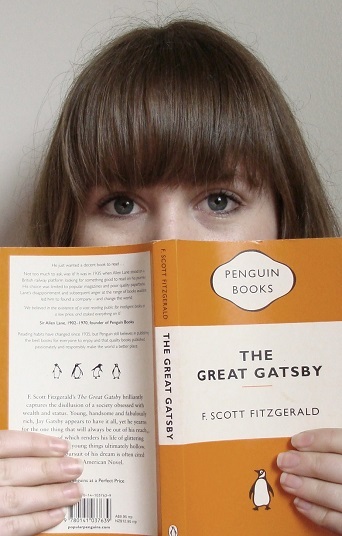 What follows is an attempt to work through my experience of reading and understanding ‘The Great Gatsby’, and the concept of a ‘Great American Novel’. As usual my starting point was wikipedia, which defines a ‘Great American Novel’ as a novel that is an “accurate representative of the zeitgeist in the United States at the time of its writing”. F Scott Fitzgerald wrote ‘The Great Gatsby’ between 1922 and 1925, and the story is primarily set in 1922. So to find the zeitgeist of the time, I had to think about the historical context, particularly the social elements prominent during the 1920’s. But first I had to find the zeitgeist of Fitzgerald’s novel. – Class divisions will always define you. – People always desire what they cannot have. – Yet if they obtain the seemingly impossible, it will not fulfil them. These four lessons of sorts paint a picture of a society stifled and straining against its structures, yet falling into timeworn patterns of constraint, privilege and opportunity. The society of ‘The Great Gatsby’ is also one of potential transformation through various forms of social mobility, which were previously of negligible importance and are key to social patterns in the 1920’s. Two examples in the novel are social status gained, firstly through ‘merit’ during the Great War, or secondly through income from ‘bootlegging’ made possible by prohibition. This perceived potential for greater mobility becomes frustrated as the realities of old social constraints and prejudices between classes remain the dominant reality, leading to the ‘stifled’ feeling evident throughout ‘The Great Gatsby’. My next thought was that perhaps ‘The Great Gatsby’ is a Great American Novel because of the distinctly American voice of Fitzgerald. British novels of a similar period (I’m thinking of ‘Antigua, Penny, Puce‘ and ‘Cakes and Ale‘ in particular, though both are 1930’s) tend to characterize America as a socially neutral/flat place of opportunity, loud voices and entrepreneurship. Yet ‘The Great Gatsby’ has a complex setting, with many layers of social constraint and opportunity beyond any simplistic, cartoon-ish notions, which could only have been written by someone who understood and experienced America in the 1920’s. And finally I decided that I would add another element to the criteria for a ‘Great American Novel’ and that would be the ability to transcend ages, and resonate with readers from any period. ‘The Great Gatsby’ is currently being made into a film starring Leonardo DiCaprio, and parts of it were filmed in Sydney. There is a long list of other film, television and even opera adaptations of the story and I think many of the central elements can be seen in contemporary pop culture. The social changes that occurred during the 1920’s are definitely still relevant, and ongoing. Though US pop culture loves a ‘self made’ or ‘rags to riches’ story (though perhaps not with the obsessive delight of Australians) the reality of contemporary US society is still starkly divided, though perhaps at different levels to the 1920’s. Social mobility may still be for many an unattainable dream, just as despite his (ill-gotten) wealth Gatsby was unable to shake his past. After much thinking I have decided I agree that ‘The Great Gatsby’ deserves the title of a ‘Great American Novel’. Despite this I must say that I found the first half of the book incredibly slow, and the style of the ‘unreliable narrator’ frustrating at times. However the overall feel of the novel, the themes and issues it raised and the wonderfully entangled climax, make it a memorable read. ‘Beatrice and Virgil’ – Yann Martel 2010.